Atheism, according to one source is “a) a disbelief in the existence of deity; b) the doctrine that there is no deity”. So then, it is true that a person who professes to be an Atheist does not believe in the one true God or any gods at all. Atheists, just as Christians, often discuss theology and other topics of religion and so it is something that receives a lot of attention. 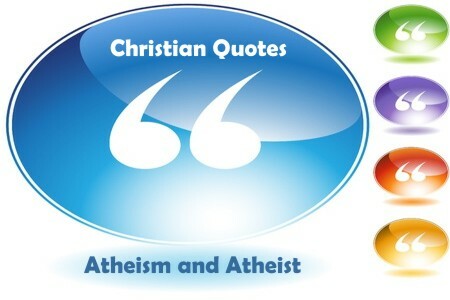 Take a look at these fifteen Christian quotes  about atheism or atheists. Feel free to share any more in the comments below.